What more patriotic way to celebrate American independence than to stand on the West Lawn of the U.S. Capitol and watch fireworks explode over the Washington Monument? No other city celebrates the Fourth of July with as much fervor and pageantry as Washington, D.C. And with Tchaikovsky’s “1812 Overture”–complete with cannon fire–in the background. The West Lawn of the Capitol is the site of “A Capitol Fourth,” the free hour-and-a-half concert put on each year by PBS. The National Symphony Orchestra and the Choral Arts Society of Washington back up a lineup of stars. It all leads up to a spectacular fireworks show, which usually kicks off shortly after 9:00 p.m. On the West Lawn, you’ll have the best seat in the house–and the best seat in the country. Don’t even think about driving. About 700,000 people flock to the National Mall each year for the fireworks, making parking close to impossible, and police close many of the streets around the Capitol for security reasons. The concert fills up so you probably want to come early–gates open as early as 3 p.m.–and bring a blanket or folding chairs and a picnic dinner. Be sure to bring plenty of water (no glass bottles or alcohol, though), because Washington, D.C. gets hot and sticky during the summer, and you don’t want to risk heat exhaustion. Bring sunscreen too. Note: On July 4th, public access to the National Mall begins at 10:00 a.m. The U.S. Capitol grounds open at 3:00 p.m.
You can get some of the same effect with smaller crowds, minus the fireworks of course, if you come a day early. The organizers stage a full dress rehearsal on July 3, and that, too, is open to the public. Whenever you come, expect to pass through a metal detector and have police search through all of your bags, picnic baskets, and coolers. For more information on A Capitol Fourth, visit www.pbs.org/capitolfourth/. For more information on the fireworks on the National Mall, visit www.nps.gov/subjects/nationalmall4th/index.htm. For information on the National Independence Day Parade, visit http://july4thparade.com/. For US Capitol Police information for the 4th of July Concert and Fireworks, click here. For a map of general public access points and screening sites for the fireworks, click here. For July 4th Metro Service Information click here. Hours: On July 3 and 4, gates to the U.S. Capitol grounds open at 3 p.m. The concert itself runs from 8 to 9:30 p.m. on July 4. The dress rehearsal runs from 8:00 p.m. to about 10 p.m. on July 3. On July 4, public access to the National Mall begins at 10:00 a.m. Note that the National Mall and U.S. Capitol grounds have separate gate opening times. Note: Arlington Cemetery & the National Mall side of Smithsonian station will become “entry only” after 9 p.m. to accommodate returning crowds. The Independence Avenue entrance of Smithsonian station will be available for both entry and exit throughout the entire day. If I wanted to go next year, how early should I get in line to get a decent lawn spot close to the stage? In other words, if the gates open at 3pm, is it a crazy long line and rush to get a spot? Thanks. I drove from NYC to DC on 4th of July! And I got there exactly at 8:37PM I was so lucky to find parking spot by 8:40PM.. but it was a 35mins walk according to google map! So what I did started kinda jugging me and my wife! I attended this show for so many years and I know right spot for the best view! That unfortunately not lot people are aware of it except for the locals, but at the same time I’m glad not lot of people do because otherwise it will impossible to get there! And how I knew about the best spot to watch fire works basically it’s a front raw seat! A friend of mine of who was born and raised in D.C showed me this spot back in 2005! Anyhow, it depends if you like enjoying the outdoors and would like to watch free concerts etc.. but if you want to watch the fire work, be exactly at national mall facing the Lincoln Memorial, how to know you’re at the exact spot, memorial wall should be behind you and Lincoln statue should be in front of you! And timing, like I said I got there so late I made it at the spot by 9:02PM it hasn’t started yet, so I set down and of course it was so crowded but you can walk your way through and sit somewhere next to random people! If you make it anytime between 8PM- 8:30PM at the spot I explained to you, then you will be just fine. At the mean time you will be exploring other places! And it’s up to you what time you want to get there! Food is great in D.C. when I go down there I go to the fish market and enjoy the freshest seafood and famous D.C blue crab, again everyone and each one of us has his own taste! I was in the area close to the Washington monument and you could not tell a concert was going on! I guess it was only for the few at the capital. Well I was a bit disappointed but guess I didn’t miss much! I did get to see the fire works..
We were very disappointed with the televised version of a Capitol 4th this year. There was no heartwarming story about a wounded veteran Also at the end the show cut off before all the armed forces songs were played. Normally the songs are played on stage and the veterans stand to honor them. There was nothing special this year. I was wondering if any delay/ cancel decisions have been made yet for weather. Under the travel tips section it says lawn chairs are permitted; then under comments it says lawn chairs are not permitted. are lawn chairs permitted or not? Lawn chairs are permitted. For a complete list of “prohibited items” click here. Can we bring a small beach tent for shade and then take it down just before concert starts? Does the 3rd dress rehearsal include fireworks? No fireworks for the rehearsal. Are soccer chairs (higher chairs/regular height) allowed or do chairs need to be low/ close to the ground? Other types of folding chairs are not on the “prohibited items” list, so I don’t know if they have a size requirement. You may want to contact the U.S. Capitol Police Public Information Office directly at 202-224-1677.
if the gates open at 3 pm can you bring food inside? is there a place to picnic? What time does the dress rehearsal start/end? And what time do the gates/lawn open? There is a full concert dress rehearsal on Tuesday, July 3, 2018, beginning at 8 p.m. Gates will open to the public at 3 p.m.
How is access for disability challenged. I also have a service dog. According to the US Capitol Police: All public entrances are wheelchair accessible. Mobility impaired guests and their parties will be accommodated at any public entrance. Limited parking on a first come, first serve basis will be available to mobility-impaired guests and their parties along the south curb of Constitution Avenue between First and Third Streets, NW. According to NPS, pets are “not recommended” but they are not prohibited. They don’t specifically address service dogs, but It seems you will be fine. how does one get tickets for America’s Birthday show . Tickets are not required. Lawn seating space is available on a first-come, first-serve basis. Is there an area for handicapped? I use a walker to get around. From the US Capitol Police: All public entrances are wheelchair accessible. 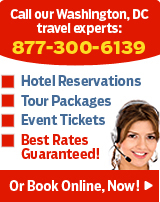 Mobility impaired guests and their parties will be accommodated at any public entrance. Limited parking on a first come, first serve basis will be available to mobility-impaired guests and their parties along the south curb of Constitution Avenue between First and Third Streets, NW. ADA shuttle service will be available beginning at 4:30 p.m. on July 3 and July 4, from this parking area to the public entrance nearest to First Street, NW, and Constitution Avenue, NW. This information is from last year’s press release, they usually have a new press release the week before the event. Will they allow a small wagon – just big enough to carry two folding concert chairs, a cooler and camera – at the concert at the Capitol? These items are not on the “Prohibited” list. For the information given by the US Capitol Police, click here. How do you get seating for the stands for the parade? I would email info@july4thparade.com to answer your question. Are folding chairs, or “bag” chairs permitted? Can you come early and set up your chairs and/or blanket and then leave for an early dinner and come back? What would be the optimum time to arrive? Folding chairs are not currently on the list of prohibited items. I do not believe it is prohibited to leave your items and come back later, but there is no guarantee that someone won’t move your belongings. We are going to DC for July 4th 2016. Can you hear the music playing with the fireworks if you watch from the National Mall area? Not really and it’s not a great view of the Fireworks from the concert. I learned the the hard way last year. Go to the free concert on the 3rd and get a better spot for the fireworks would be my suggestion. Anyone knows if the museums at national mall are open for public on july 4th? The museums are open, but expect some crowds — they offer cool relief from the July heat to the thousands of people who come for the fireworks. I have been twice before for the fourth and it is so hot on the mall with no shade. Are beach umbrellas allowed on the mall during the day until the sun goes down? How do you get the seats that you can see on tv for the show? I keep reading you don’t need tickets, but I can see a section that has people seated up close to the performers. Are these open to the public? The VIP section. To get in, know someone in the production (family of performer) or know someone at PBS. Lots o’ Luck even then.. My wife works at a PBS affiliate many states away and won some contest – a few years ago – we got in. It was kind of nice. Basically it’s first come. The one time I got them I got in line around 11am. I’m good I did it once but I don’t know that I’d do it again, plus you can’t really see the fireworks at all from the chairs. How crowded does it typically get for the rehearsal concert on the 3rd? How early do I need to get a spot relatively close? What time is the dress Rehearsal? Will the famous performers be there too? There will be a full concert dress rehearsal for this event on July 3 at 8:00 pm. The gates will open to the public at 3:00 pm. I don’t know if all of the performers will be there, but my guess is that most will be. I do not believe the rehearsal is televised. But you can watch the July 4th show live on PBS, from 8:00 to 9:30 p.m. ET. Will there be fireworks included for the rehearsal on July 3rd? I do not believe there are fireworks at the dress rehearsal. How would I get an autograph from a performer? What time do I need to arrive at the Capitol for the Fourth of July concert to get a good seat? Arrive early, the gates for the concert open at 3pm. Can you bring an unbrella to the capital mall area for during the day while waiting? If you are attending the concert, oversized umbrellas (radius > 36” when open) are not allowed. Regular ones are fine. If you are just there for the fireworks on the National Mall, and not in the concert area, umbrellas are ok.
Are folding chairs and umbrellas allowed in the concert at the capital? If you are attending the concert, oversized umbrellas (radius > 36” when open) are not allowed. Regular ones are fine. Folding chairs are not currently on the list of prohibited items. I see a mention of coolers, but not much else about what to bring and what not to bring. I assume a folding chair and cooler are fine since it is mentioned that security will search through it. But is an umbrella allowed for shade? Handheld or small one you can clip on a purse? Also can I bring a rolling cart to carry my things? Prohibited items include oversized umbrellas (RADIUS > 36″ WHEN OPEN), so a normal sized one is fine. I do not see any restrictions for a rolling cart. Remember to bring plenty of water, but alcoholic beverages of any kind and glass bottles are prohibited. How is the Capitol Fourth dress rehearsal handled if the weather is bad on the 3rd? Does it go as planned, move inside, or postponed? If the weather is bad, the dress rehearsal can be cancelled for the public. I am planning to park at the garage parking around 8am on July 4th on Pennsylviania & 13th Street. Do you know that i still can drive around DC that time? Can i walk around the National Mall at 8,9am or i have to wait till the gate open? Where is a good spot to set up a family tent with kids and have a good view of the fireworks? 2. You will have to wait for the gates to open. Public access to the National Mall begins at 10:00 a.m. The U.S. Capitol grounds open at 3:00 p.m.
3. The best spots to view the fireworks are on the West Lawn or the steps of the Lincoln Memorial, but I think you will be good anywhere on the National Mall. Will any street closures affect the DC Capital Fair at RFK? Are small dogs allowed at the Capitol Fourth rehearsal? According to the US Capitol Police, animals are prohibited unless they are service animals. Hello. I am in a wheelchair and was wondering is there any disabled access available that doesn’t include riding the metro in. Like parking or a taxi drop off point to get as close to the Washington Monument as possible? All public entrances are wheelchair accessible. Mobility impaired guests and their party will be accommodated at any public entrance. Limited parking on a first come, first serve basis will be available to mobility impaired guests and their party along the south curb of Constitution Avenue between First Street & Third Street, NW. Mobility carts will begin service from this parking area to the entrance nearest First Street, NW and Constitution Avenue, NW at 4:30 pm. I am planning on attending the Capitol concert on the 4th. Am I permitted to place a blanket and chairs in the afternoon to reserve my spot on the lawn? My plan would be to do so, leave, and then return. Will security lines be incredibly long as the concert time approaches? Will my chairs and blanket be removed? Thanks! I do not believe it is prohibited, but there is no guarantee that someone won’t move your belongings. If you go to the Dress Rehearsal for a Capital Fourth, if you get there around 6, can you still get a relatively decent seat, please? Thanks! The gates open at 3pm, so I would not count on good seating at 6pm. You should still be able to view it however. We would like to visit the museums on the 4th but will not be staying for the fireworks. We were wondering if the museums be too crowded to enjoy them on the 4th? Should we visit the 5th instead? If you are not coming for the fireworks, I would avoid going to DC on the 4th of July. This is a very crowded day in the city. Check out other fun places — not in the Capitol Mall area on the 4th. The Udvar-Hazy Air and Space Museum out at Dulles is an AWESOME addition of the one downtown. Check it out online. Also— the Washington National Cathedral— cool place to visit….. even a Darth Vader gargoyle. Sparklers (no more than 20 inches in length) are legal in DC. However, explosives (including fireworks) are prohibited at A Capitol Fourth. Do sparklers fall into that category or will they be allowed through security? I wouldn’t bring sparklers. They’re probably prohibited as fireworks, and besides there will be a big crowd and you’d be pretty likely to set something on fire or hurt someone. If we set up an area for our family with a blanket or chairs are we allowed to leave and come back or do we have to stay there? If allowed to leave what if the place fills up and our stuff is inside how will the security know that we were already inside? If you leave, you will have to go through security again when you return. Will there be food trucks (asopposed to lousy food vendors) near the Capitol? Also I’ve not been to the Capitol for many years but you used to be able to bring beer & wine–is there anywhere you can picnic with that near the Capitol to watch fireworks or not now? Thanks! Your best bet for food trucks near the National Mall would be over at L’Enfant Plaza. You can track food truck locations at http://www.foodtruckfiesta.com. Alcohol is no longer permitted on the National Mall on the 4th of July. Food and water is allowed. For a full list of prohibited items click here. Can you hear the Concert well up the Mall without having to be on the Capitol grounds? Will there be any large screens on the Mall showing the concert? My group won’t want to sit for 5 hours in one spot waiting for the concert when there is so much else to do and see on the Mall. In the past, I have seen large screens and speakers for the concert, but I do not know where they are placed. I see chairs available near the main stage. I assume those are reserved correct? Can anyone sit on the capitol steps? What time would you suggest arrival to sit on the steps? We’re visiting from out of town to attend the concert and fireworks. I seem to remember hearing that in certain spots on the lawn you can’t see the fireworks unless you walk down the street. Can anyone provide details as to where to sit at the event to be sure to see the fireworks after the concert. What about disabled parking? Also can I bring a folding chair for my 90 year old mother? She can’t sit on the ground. Also, all public entry points are wheelchair accessible. I think folding chairs are fine. For more information, visit the US Capitol Police’s press release here. Does anyone know if there are chair rentals for th concert and fireworks? We are coming by train and cannot carry them with us. Have been to the Capitol fireworks many times and your best bet would to bring blankets to sit on. They usually have free water but might want to bring food and water to enjoy while the concert is going on. The earlier you get in line the better chance at good seats. We usually start standing in line around 2:00. – are there bathrooms there? -There will be portable bathrooms available. -If you leave the secure area, you will have to go through security again to come back in. -There are food vendors around the National Mall, usually near the museums. 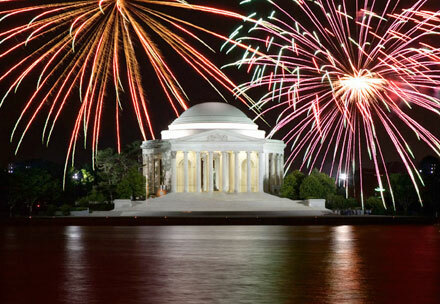 -The best spots to view the fireworks are on the West Lawn or the steps of the Lincoln Memorial. I viewed the 4th of July concert on PBS tv channel. GREAT ! I’d like to know if a DVD is available to purchase. They also suggest looking for replays of the concert in the few days after the 4th. Does anyone know when the dress rehearsal begins on July 3rd? The rehearsal starts at 8pm. Can someone please tell me if we will be able to drive into DC from Virginia at 9:00 am on the 4th is it possible? It’s certainly “possible” but you are going to have to deal with traffic and will probably have to park a good ways off the mall. That is very early, yes you’ll make it and somehow find parking. We are planning to come this year, I see the gates open at 3, do we need to arrive at that time or earlier to get in on the 4th? Is there in and out access if you get there at 3:00. In otherwords, can part of your party go do something else until the concert? Thanks for the helpful information. I have the opposite question. I have two kids 4 and 7 years old. I don’t think they could tolerate waiting outside for 5 hours for a concert. Is there a way I can get Tickets for this concert? I’d be happy to pay for them; what I’m really looking for is a place where I can show up at 6 or so, sit down with the kids and avoid some of the crazy camping around all day stuff. Any ideas for this concert? or alternatively for any fireworks viewing area in DC? Scott- There are plenty of activities on and around the mall to keep the little ones entertained, just be sure to prepare for the heat. The Smithsonian museums will be open so you can always duck into them for a quick blast of air conditioning and some fun distractions for the kids. The Iwo Jima memorial and the Pentagon are two popular places to view the fireworks without having to battle the crowds on the mall. Can you tell me more about the 4th of July schedule? DO I need tickets for the performance? How do I get them? What about fireworks? what time and where shoud I observe? If you want to attend the Capitol Fourth Concert, you do not need tickets, but space is limited, so you need to arrive early. Doors typically open around 3:00PM. The fireworks show starts around 9:00PM. There are plenty of great places to view the fireworks but the best ones are usually claimed early in the day. The steps of the Lincoln Memorial is one of my favorite spots, and if you want a spot outside of the city, you could try the Iwo Jima Memorial in Rosslyn, VA.